The new September calendar bearing the photos of the Crown Prince of Bhutan was published. According to the Bhutan's royal tradition, with the coming of each new month, Bhutan Royal Palace produces a new calendar bearing the photos of royal family of Bhutan. 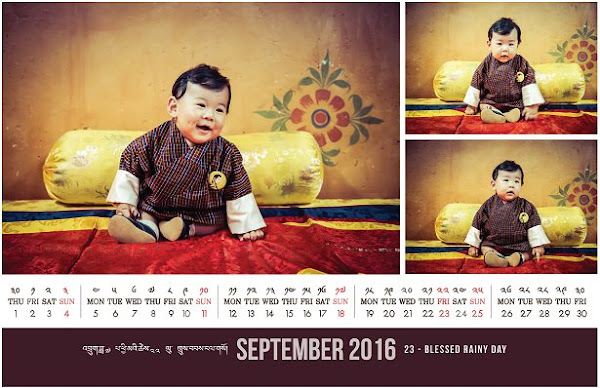 The September calendar bearing the photos of 7 months old Crown Prince Jigme Namgyal has been published. How cute he is, like a doll.